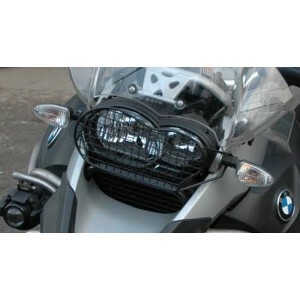 The framing of headlight protector R1200GS Adventure Steel is laser-cut. 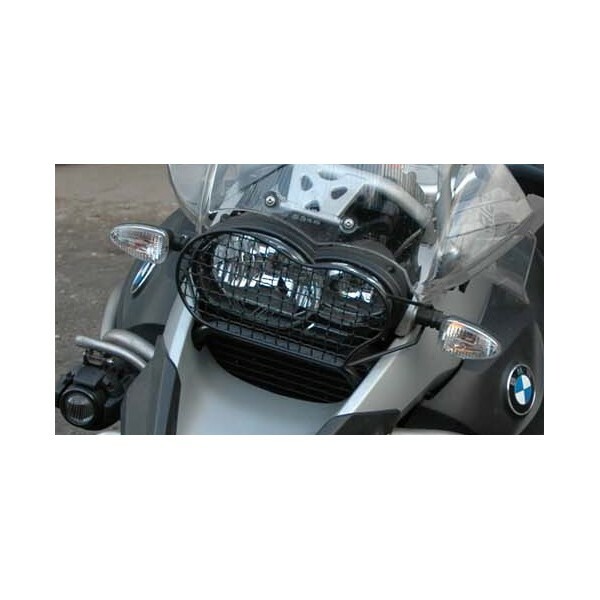 The grating mounted in the frame is securely welded and the entire headlight protector plastic-powder coated. A very sturdy design which can withstand even large stones. Mounting is very simple using fastening points directly at the indicator mounts. No effect on the function of the windscreen.